This paper is not intended to be a comprehensive literature review— it focusses on existing ANROWS research, while also drawing on statistics from national surveys. This synthesis is designed for policy-makers and practitioners engaging with people affected by domestic and family violence and housing insecurity/homelessness. Australia’s National Research Organisation for Women’s Safety. (2019). 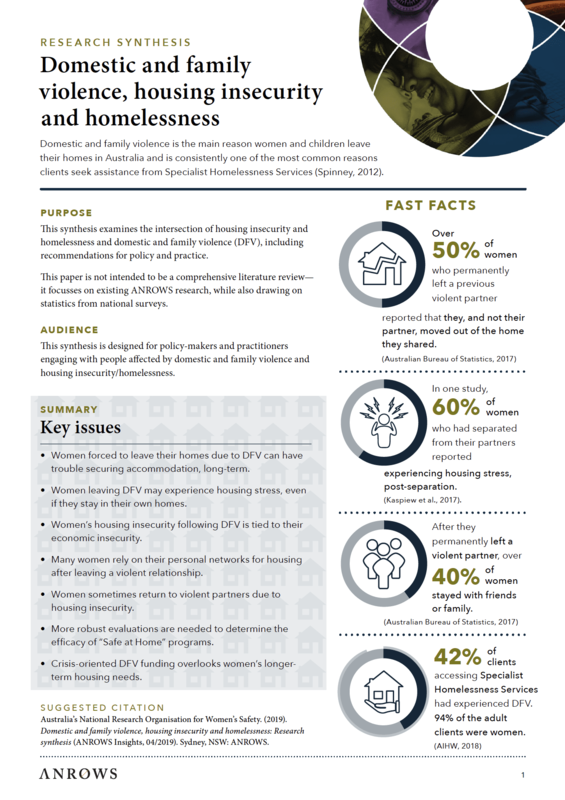 Domestic and family violence, housing insecurity and homelessness: Research synthesis (ANROWS Insights, 04/2019). Sydney, NSW: ANROWS.